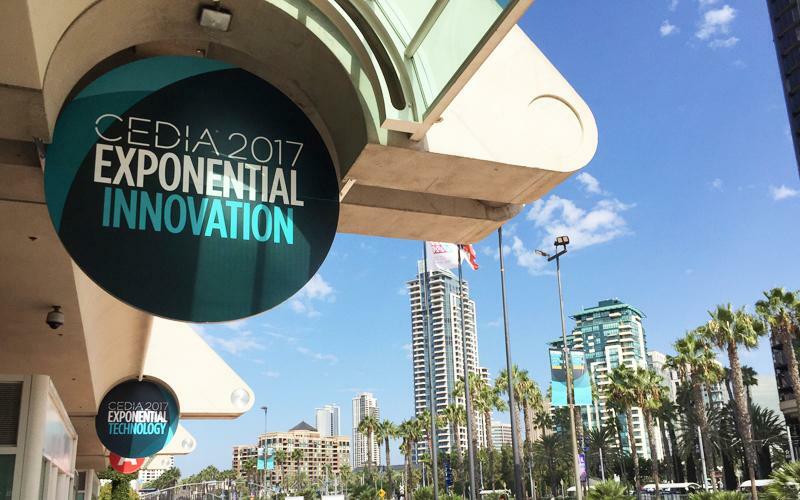 The annual CEDIA Expo took place in San Diego from September 5-9. CEDIA, which stands for Custom Electronics Design and Installation Association, is the premier trade organization for specialty AV retailers and custom installers, and the annual Expo is where these dealers head to learn about all the new high-tech goodies in the luxury home theater, whole-house AV, and home networking/automation categories, as well as to take training and certification courses related to these technologies. Managing editor Adrienne Maxwell and associate editor Dennis Burger made the rounds at this year's show; here is their take on what they saw and heard. CEDIA Expo has changed substantially over the past 10 years or so. Once a geeky celebration of purely custom-installed AV, automation, networking, and security gear, the conference has evolved due to the appearance of what can only be described as "consumer-grade" electronics. Sonos, for example. And more recently Amazon Alexa, which was the talk of the town at last year's show in Dallas. That trend hasn't abated, but the big difference this year seemed to be that the custom installation market and the consumer electronics industry have finally found a way to hug it out and work together in new and fascinating ways. Last year, it was big news that Alexa was coming to the custom industry at all. This year, more and more manufacturers seemed to be answering the question, "Okay, but what do we do with this talking box?" Origin Acoustics had the perfect answer, in my opinion, with its new Valet system. What does the system do, you ask? It revolves around a custom in-ceiling mounting bracket for the Echo Dot, which conceals the Dot behind a circular magnetic grille that looks no different from any other in-ceiling speaker you've ever seen. That's not all, though. The system features the new Valet Amplifiers (pictured right), which communicate with (and power) the Echo Dot to create a truly custom four- or six-zone distributed audio system that uses Alexa as a source and can be installed using any in-ceiling speakers you choose (although I'm sure Origin hopes you'll select its own offerings for that purpose). I'm sure there are some of you choking on your shredded wheat right now, appalled at the mere prospect of a custom-installed distributed music system with Alexa at its heart. The reality of it is, though, that the Echo and Echo Dot are becoming the go-to music source for a staggering number of people, which makes the Valet system such a genius move on Origin's part. An invisible in-ceiling distributed music system that you operate by merely talking to it? If the custom installation industry could have come up with this on its own, it would have. It took a behemoth like Amazon to really make it work, and it took a custom-industry maverick like Jeremy Burkhardt to say, "Y'know what? Why fight it? Let's embrace it. Let's make it better. Let's make it our own." Alexa also made a lot of noise at the Sound United booth, where Denon and Marantz revealed that their HEOS-equipped receivers and AV processors, along with standalone HEOS speakers and amps, will soon receive a helping hand from Alexa in the form of two updates: one that adds on/off, volume control, transport control, and input switching capabilities, and another that adds multiroom audio control functionality. Granted, these capabilities will be available to any and all consumers who buy Denon, Marantz, or HEOS gear, but it's still a boon to the custom industry, if you ask me. Why? Because these new capabilities will likely add complexity that some consumers just aren't willing to deal with on their own, especially once they start digging into multiroom audio. Will it be a huge percentage of buyers? No. But every little bit helps. This marriage of custom and consumer-friendliness didn't begin and end with Alexa. Other companies seem to have gotten the memo that connected customers don't want to be locked out of making tweaks and changes to their own control systems. Control4, for example, introduced a brilliant new initiative known as "When>>Then." Simply put, "When>>Then" allows homeowners to do some pretty sophisticated programming of their own, without the need for additional software downloads or licenses. Simply log in to your my.control4.com app, and you'll be able to create all manner of custom automated events--roughly on par with the sorts of automation you can set up with DIY systems like SmartThings, with the major exception that Control4 lets you set up automations that include AV devices, which you can't do with SmartThings and other similar systems unless you also pair them with a Harmony hub. This doesn't cut the Control4 dealer out of the equation, mind you, since you still need Composer Pro and an applicable license (plus the weeklong training that goes with it) to install devices and create truly sophisticated automated events far beyond the capabilities of most DIY systems. However, for consumers who have resisted custom-installed control systems due to the inability to make changes to the system without paying for a truck roll, this is kind of a huge thing. If I were to try to sum up CEDIA Expo 2017 with one word, I'd go with partnerships. A lot of companies teamed up to present integrated solutions; and, as Dennis described above, some of those partnerships reflect a combining of big consumer-oriented categories like Alexa and HDTV with more custom-oriented manufacturers and gear. Think CES meets CEDIA. 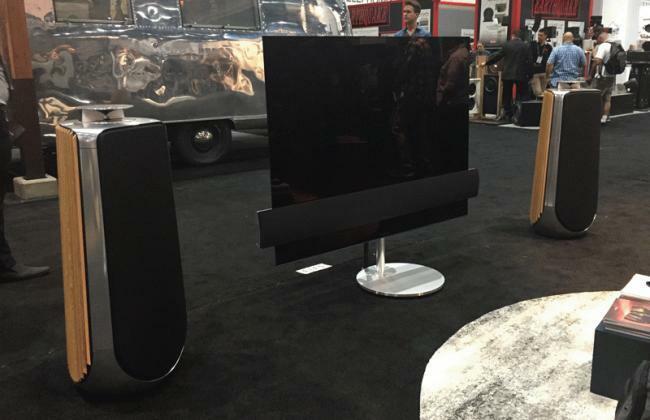 Bang & Olufsen was big on partnerships this year, showing off an integrated TV/soundbar solution called the BeoVision Eclipse TV (pictured below) that features a premium LG OLED TV. The company continues its partnership with Origin Acoustics, this year showing off an interesting new outdoor, weatherproof speaker cube--up to six cubes can be connected to create a custom line array designed to provide coverage for very large outdoor areas. Samsung had a stronger presence at CEDIA Expo than in years past, perhaps trying to strengthen or at least reinforce its commitment to the custom channel. The country's number-one TV seller has finally teamed up with Control4 to add the control company's SDDP protocol into its 2017 UHD TVs and UHD Blu-ray players for easier programing and integration into a whole-house control system. Samsung also showed off its new "The Frame" line of UHD TVs (pictured below), built around the flagship QLED series and developed in partnership with Swiss designer Yves Behar. 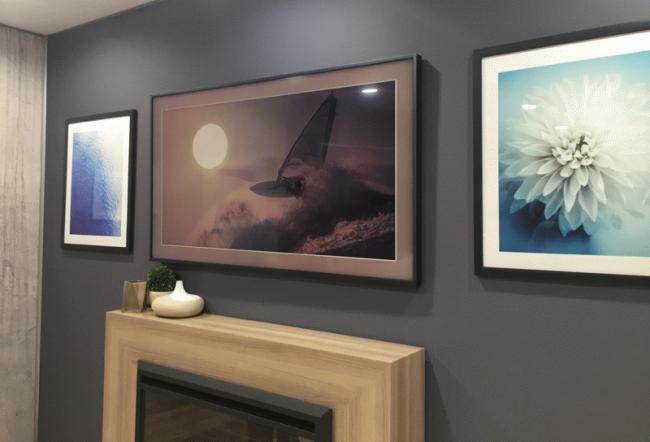 I remember reading about The Frame concept many months ago and thinking, "Oh, just another TV-as-art thing--like the custom frames and roll-down art screens that have graced CEDIA booths in the past." But when I saw The Frame in person--and in action--I really got what they were going for, and it's pretty darn slick. The magnetic frames that surround the Samsung panel are elegant and easily swappable, but the cool tech is the way the TV's built-in sensors allow it to interact intuitively with the room environment to display a collection of art on the screen--for instance, going into sleep mode when there's no activity, dimming automatically when there's less light in the room, and waking up to full video mode when desired. Sony has long been a CEDIA stalwart and, from a video standpoint, stole the headlines this year with its introduction of a native 4K projector priced at $5,000: the VPL-VW285ES . The other big Sony news was the company's partnership with another CEDIA stalwart, Kaleidescape. The two companies plan to more aggressively cross-promote each other's products, beginning with a 4K Movie Bundle promotion: buy a Sony 4K projector and get 10 free UHD movie downloads from the Kaleidescape Movie Store (which means, of course, that you need a Kaleidescape movie player on which to watch them). Some partnerships have resulted from major acquisitions that have occurred over the past year. 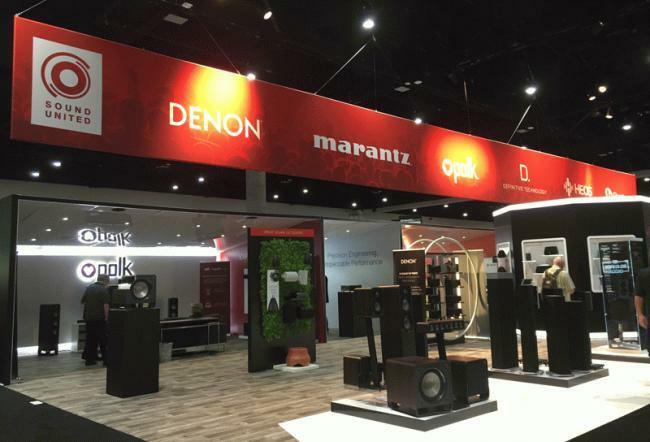 Denon, Marantz, and HEOS products joined Polk and Definitive in the Sound United booth; while we will certainly see a stronger push to partner these products on sales floors across the country, Sound United reps also stressed a commitment to retain brand individuality--they've hired dedicated brand managers to make sure that the strengths and unique attributes of each brand are preserved. 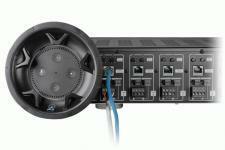 Control4's booth included new Designer Series in-ceiling speakers and zone amplifiers from recently acquired Triad, as well as networking components from Pakedge, another acquisition. Amplifier Technologies, Inc. (ATI) recently acquired Datasat, so we can expect to see an integration of technologies between the ATI, Theta Digital, Datasat, and BGW brands. Then there are the marriages of technological convenience. As Dennis said, more companies are embracing voice control, either through Alexa or Google Home (or both). Dirac Live room correction seemed to be pretty much everywhere--from HARMAN's new Lexicon processors (hey, did we mention that HARMAN acquired Arcam?) 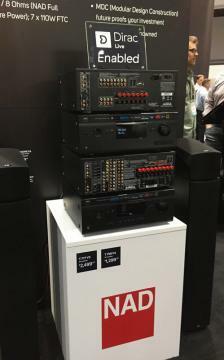 to Emotiva's new 16-channel RMC-1 AV processor to NAD's new T758 and T 777 V3 receivers (pictured right) to AudioControl's new Maestro M5 processor. Expect to see Airplay 2 incorporated into many new products, as well. And, of course, there were plenty of other cool new home theater and audio products on display. Epson debuted a new ultra-short-throw LCD projector, the $2,999 LS100, that uses a laser light source and boasts 4,000 lumens of brightness. In Epson's booth, the LS100 filled a 120-inch DaLite Parallax ambient light rejecting screen from just 18 inches away. JVC announced its new 2017 D-ILA projectors, featuring updated e-shift5 technology and better HDR integration. Most noteworthy is the price drop on the top-shelf DLA-X990R, which will be $2,000 cheaper than last year's comparable DLA-X970R that I recently reviewed. On the screen side, Screen Innovations showed off its cool shape-shifting Transformer variable aspect ratio screen and new Solo portable, motorized screen solution, and Stewart Filmscreen featured its Gemini dual-roller system, another fully automated solution that lets you switch easily between different screen materials and aspect ratios for different viewing conditions. Speakers of both the freestanding and architectural variety were on display and in demonstration. Paradigm announced that its flagship Persona Series (pictured right) is now offered in 12 premium automotive finishes. 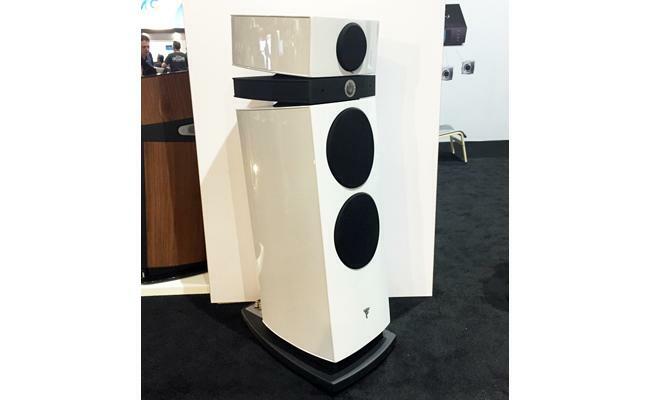 Focal had its full lineup on display, including the new $64,999/pair Maestro Utopia EVO (pictured below) that should be available within the month. GoldenEar's Invisible Theater was built around the new Invisa Signature Point Source in-wall speaker for the front channels. Monitor Audio had a full range of in-wall and in-ceiling models on display, including the new compact CF230 in-ceiling speaker and its matching ICS-8 in-wall sub. Dynaudio is adding two new speakers to its Studio Series: the DVC-65 in-ceiling speaker and the S4-LCR65 in-wall, which has a cool modular design with separate midrange/tweeter and bass modules that can mixed as needed. 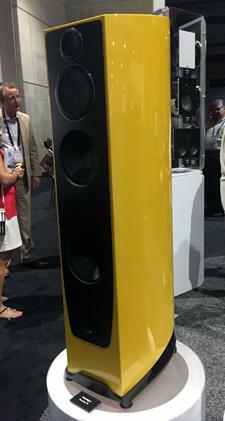 On-wall speakers seem to be enjoying a bit of a resurgence, as well. Paradigm introduced its new Décor Custom Collection of on-wall speakers, which are custom-fit to your exact display size and can be configured in one-, two, or-three-channel designs. Companies like Triad and Artison are known for similar customized on-wall solutions. RBH had a sleek-looking on-wall prototype, too (more details to come). • Have You Attended a Listening Event Recently? at HomeTheaterReview.com. • High-End Audio at CES: A Post Mortem at HomeTheaterReview.com. • Dolby Vision Takes Center Stage at CES at HomeTheaterReview.com.